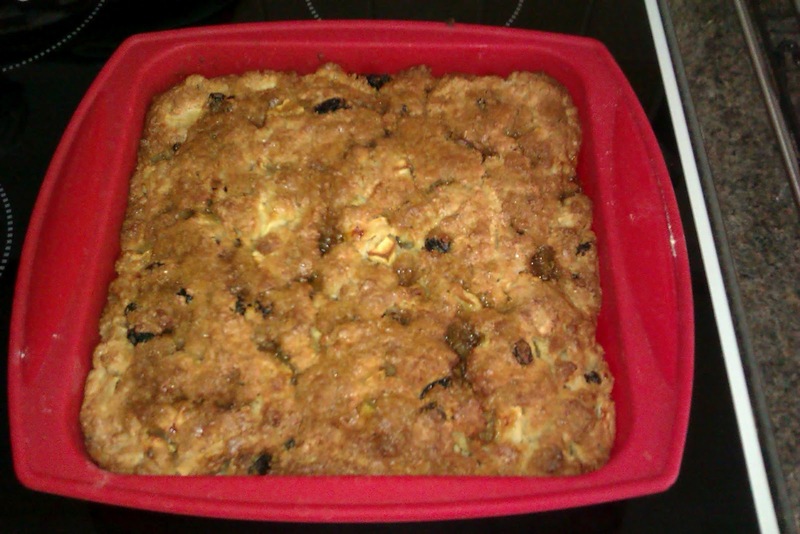 Back of Beyond Baking: Herman the Bloomin German cake! 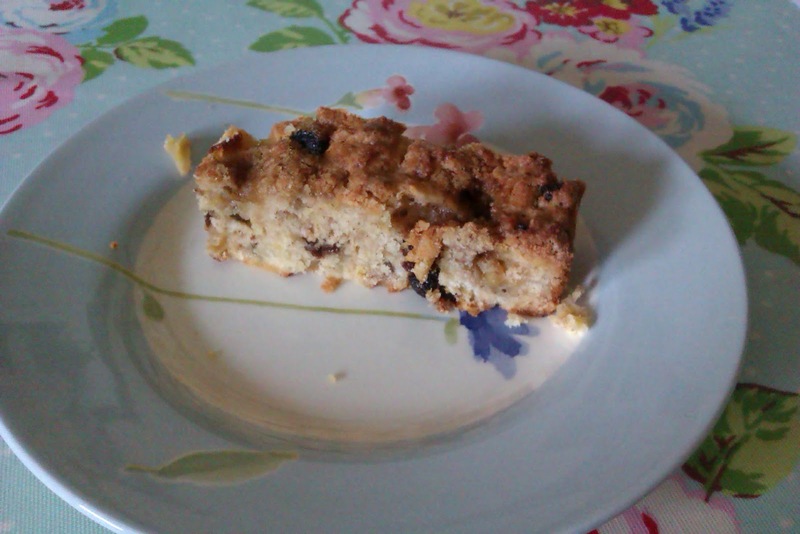 I have always prided myself on avoiding the German friendship cake malarkey. It always felt like a game of tag where the person tagged gets the booby prize of some smelly goo in a bowl that has to be given house room for 10days. I have laughed at my friends who have become lumbered with these bowls of foaming goo with strict instructions on feeding it and stirring it and then passing a small amount of the goo onto their nearest and dearest to continue ensuring Herman's demands are met and he is kept healthy. Last week my darling Son (said through gritted teeth) brought home a box of Herman gifted to him by his current girlfriend. She won't last long after this stunt, not the way to impress the possible future mother in law. Bless him, he was so excited until he saw my face. I clearly still need to work on my poker face! Anyway, after a few (quiet)expletives I decided that I would carry out the ridiculous process as an experiment and so that at least I could say I had done it and taste the results. The first bit of the instructions was easy, just put it in a plastic bowl, give the mixture a stir with a plastic spoon and cover with a loose tea towel. Now I admit I did forget about Herman on day 2 but remembered him on day 3 and he hadn't died. He was still bubbling (apparently if the mixture stops bubbling Herman is dead) so I stirred the goo and re-covered it. By day 4, when Herman needed feeding, the mixture smelled really yeasty and so strong this aroma seemed to attract the little fruit flies that frequent our house during warm weather and provide hours of fun to Mr Vander-Cave who zaps them with our electric fly bat. Each day I now had to zap the flies before I could lift the tea towel to stir or feed the mixture. This process was becoming a real debarcle! 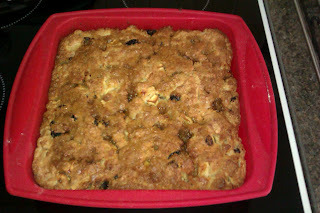 Finally on day 10 came the dividing and baking of the cake. I hesitated at the dividing of the mixture. Did I really want to foist this activity onto my friends and neighbours? In the end it was Master Vander-Cave who said that he wanted to give it to his friends in our village and the final batch went to a fellow baker who I thought might enjoy the experiment (sorry, if you are reading this!). I got Master Vander-Cave to help me make the final mixture and we baked it. When it can out of the oven I have to say it smelt nice, although it was with some trepidation that I bit into my piece of cake with all those fermenting 10 day old ingredients in it. Amazingly it tasted really really good! Fresh from the oven and smelling Good! Now obviously to make your own Herman the German friendship cake you need some starter mixture, which you may or may not get gifted with at some point in your life, so I have given the recipe for the starter mixture and then the instructions for looking after and baking of your Herman. Dissolve the yeast in warm water for 10 minutes then stir. Sprinkle with a quarter of a cup of brown sugar and a quarter of a cup of melted butter. Bake for 45 minutes at 170-180C. You may need to cover in tin foil and bake for a further 20 minutes to make sure your Herman is done in the middle. When cold, cut into finger pieces. The cake freezes well and is also delicious warm with cream or ice cream. Ah, now I've read this (and spotted the PS) do I *really* have to pass it on??? OK, if you say it tastes good then I'll believe you...might give it a go next week then Mini can help with it!